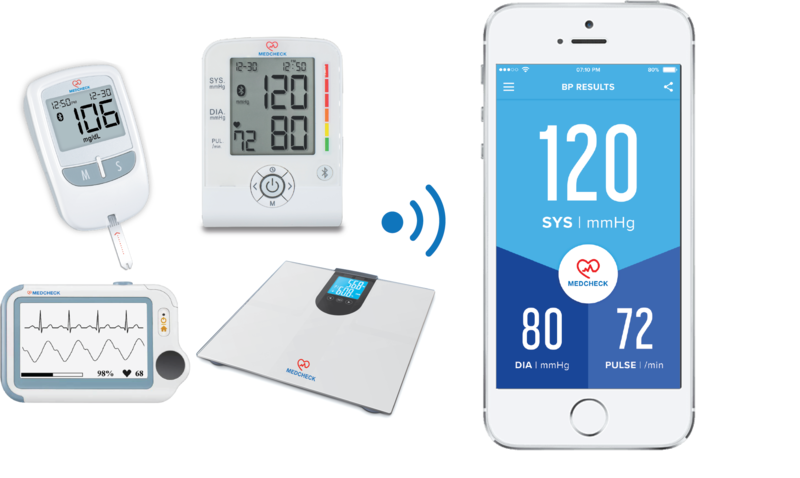 MedCheck vital signs monitor, blood pressure monitor, blood glucose monitor and fat body scale connect to smartphone via App. 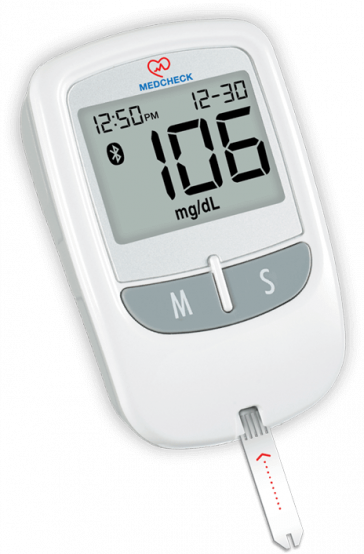 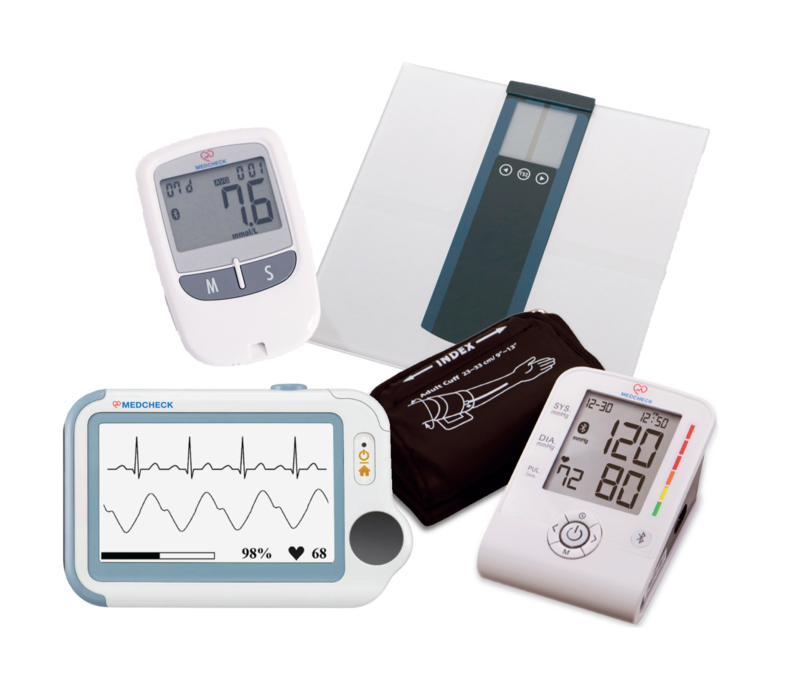 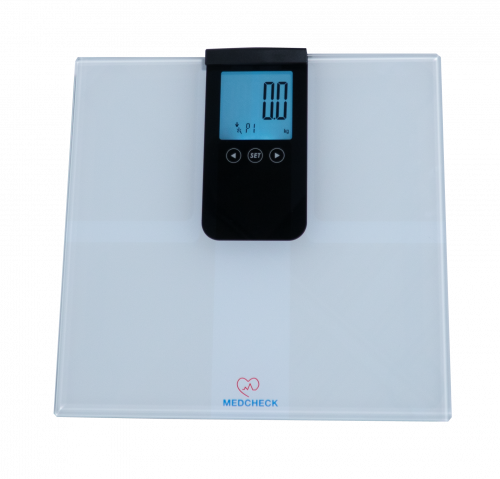 MedCheck App connects to MedCheck vital signs monitor, blood pressure monitor, blood glucose monitor and fat body scale via Bluetooth. 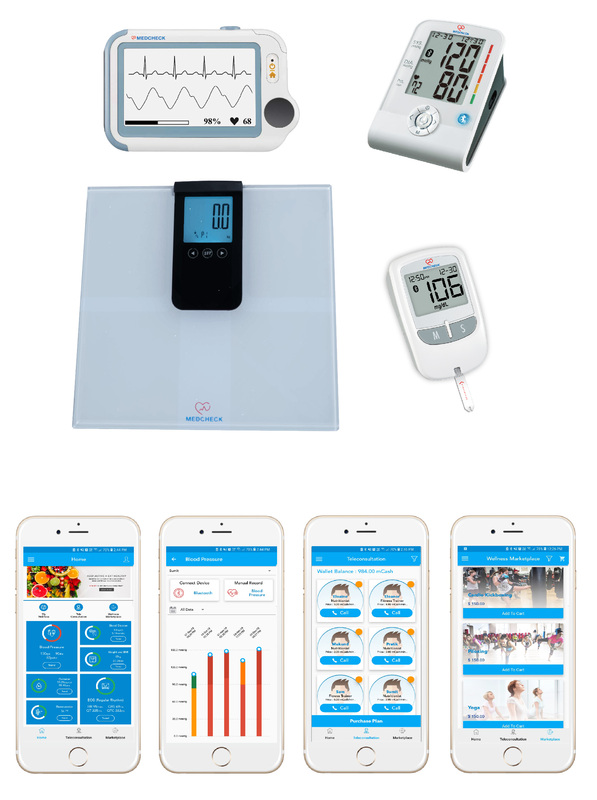 The App keeps readings in easy-to-understand graphs, and provides access to teleconsultation and wellness marketplace so users can start to play an active role in their own healthcare. 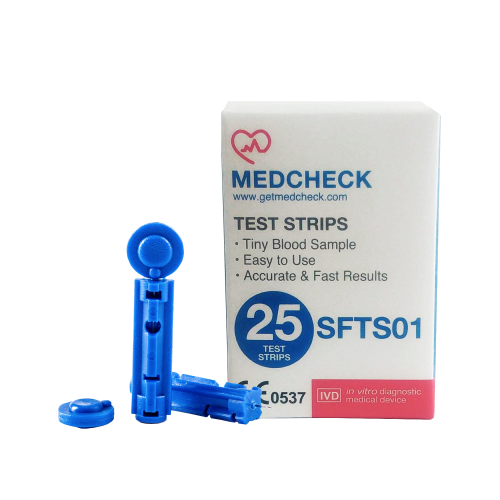 MedCheck App sends SMS to designated contacts every time reading is taken. 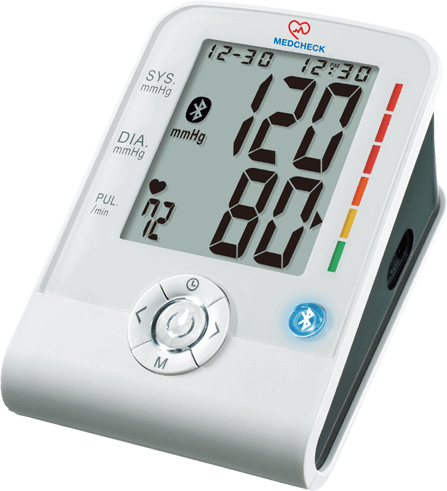 It is ideal for aging parents so that children can keep track of their health 24×7. 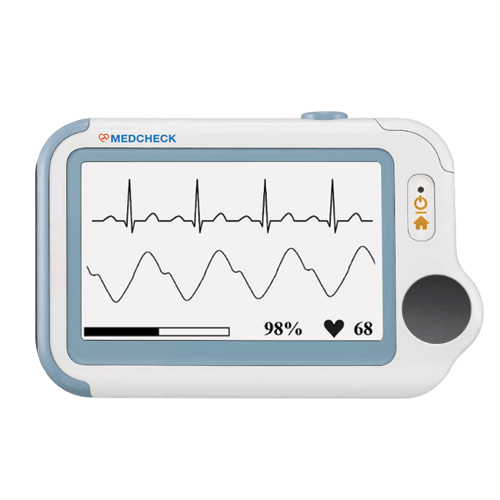 Portable ECG Monitor with the function to check your Sp02 and body temperature, all in a single device.